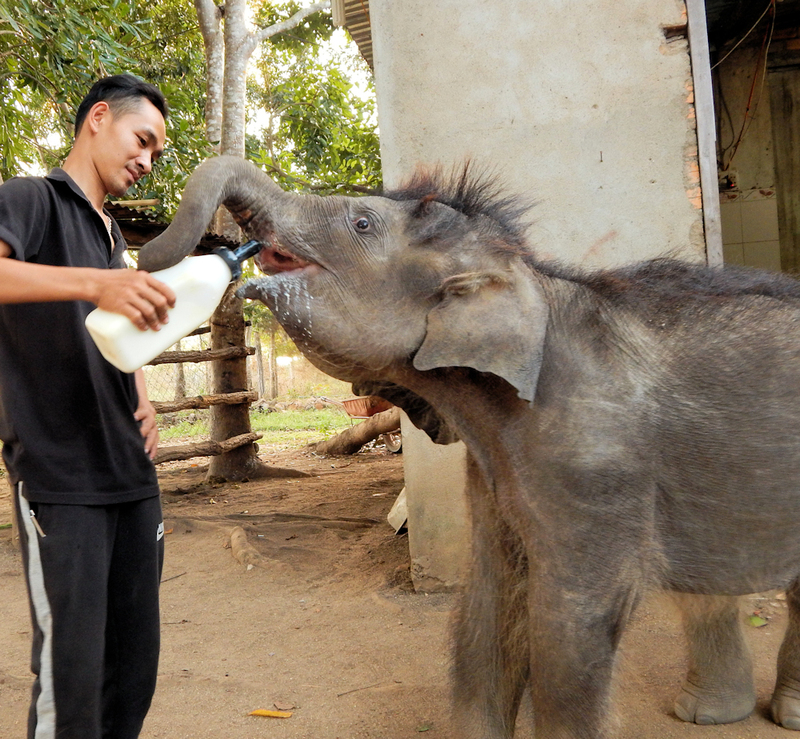 Gold was only 2 months old when ECC staff members were called to rescue him from a well. Two attempts were made to reintroduce Gold to his herd but they were unsuccessful. Gold is being hand-raised at the ECC center. Gold is now a year-old and starting to eat solid food (bananas are his favorite!) but he will need to be bottle-fed for the next several years. Watch this heart-warming story about Gold prepared by volunteer Hollis Burbank-Hammarlund. 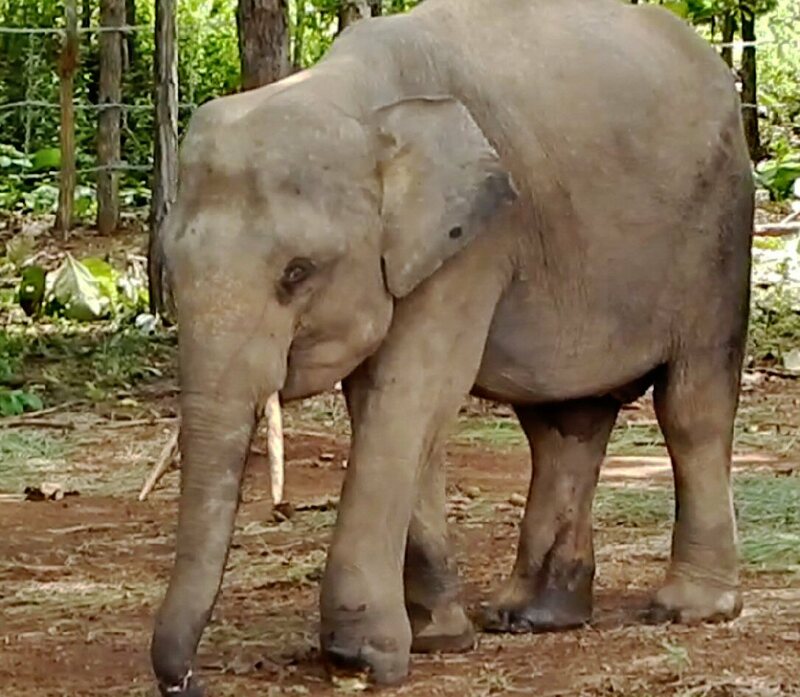 A LONG JOURNEY FOR “JUN” ~ HIS STORY Meet Jun ~ This six-year old male elephant was rescued by the Elephant Conservation Center (ECC) in Buon Don, Vietnam, in 2014. 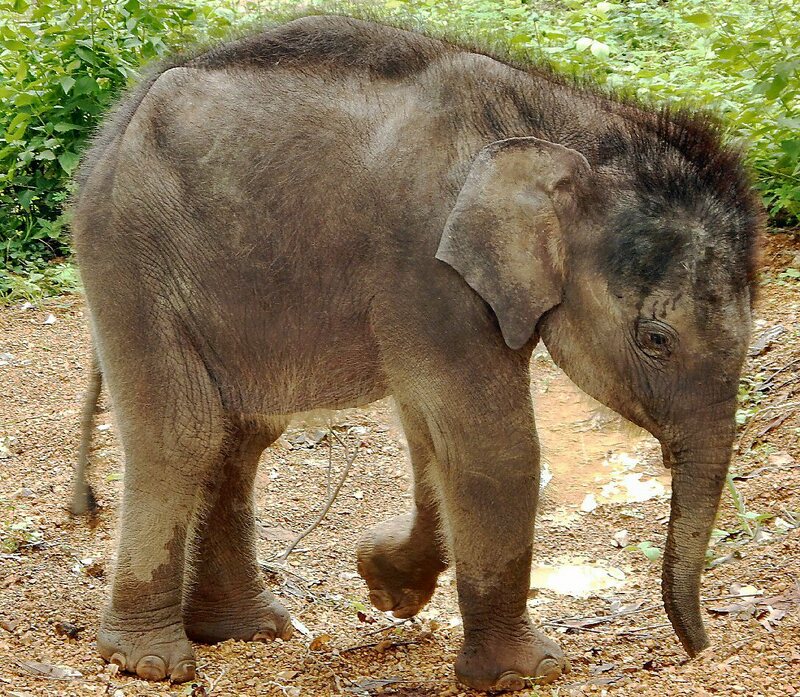 Still just a baby, Jun was found wandering alone in the forest, separated from his herd with a gaping hole in his trunk and missing much of his left foot. His life-threatening injuries were a result of a chance encounter with a poacher’s snare, which cut deep into his flesh and severed his muscles and bones, toes and pad. How long was he trapped in that snare? Did his mother struggle to free him? Was he left to die in the forest—alone? We don’t know the answers but—based on the severity of his injuries—Jun’s ordeal was long and painful and caused unimaginable suffering over an extended period of time. 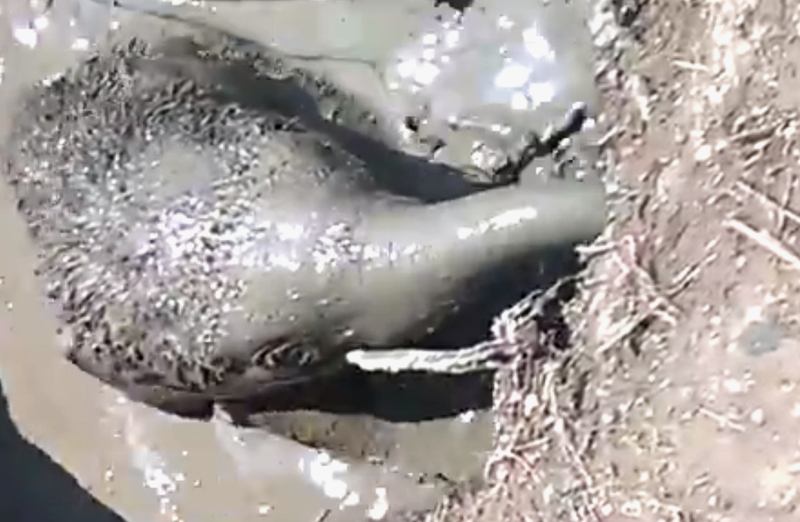 Today, thanks to the ECC and the Vietnam Elephant Initiative (VEI), Jun is safe. But he is not out of the woods. When discovered in the forest in 2014, Jun’s trunk had healed on its own (it now has a large, permanent hole), but his foot injury had festered and will require long-term care, including twice-daily cleanings and a daily soak-debride-medicate routine. When more intense treatments are needed and sedation is required, our new digital “Ele-Scale” (purchased with funds generously donated by Buttonwood Park Zoo, USA) will allow our skilled team of veterinarians to determine Jun’s exact weight for accurate drug dosages. Positive Reinforcement Training (PRT) over the past two years—delivered by our VEI elephant behaviorist—has fostered a strong bond of mutual trust between the ECC’s mahouts and Jun. 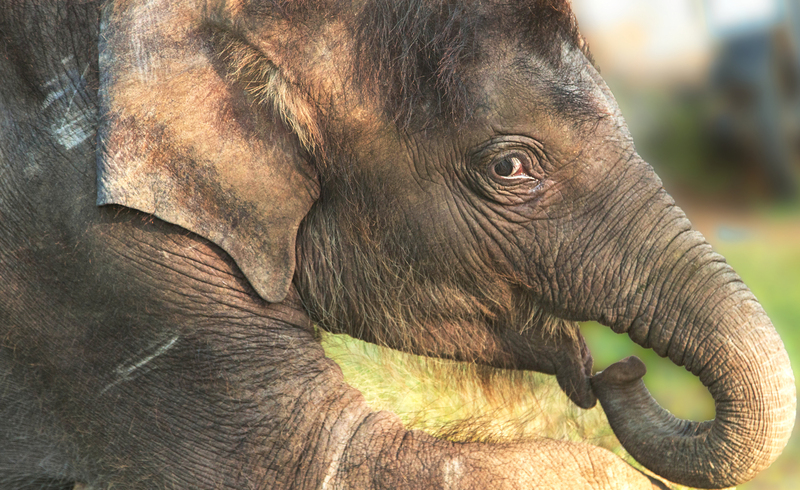 This human-elephant bond is essential to his long term care.